The 'Not Afraid' rapper is in the running for some of the most prestigious prizes at the annual ceremony, including Album of the Year, Song of the Year and Record Of The Year. Singer-and-songwriter Bruno Mars got the second most nominations when they were announced last night (01.12.10) with seven, while Lady Gaga, rapper Jay-Z and country act Lady Antebellum all scored six. Bruno - who, among his nominations, is up for Best Male Pop Vocal for his hit 'Just the Way You Are' - said: "It's just been a great year, incredible, incredible year, and I can't believe this is happening to me. Another track co-written by Bruno - Cee Lo Green's 'F**k You' - was nominated for both Record of the Year and Song of the Year, and Cee Lo said he never realised the track, which was edited to 'Forget You' for the radio, would be such a hit. He told LL Cool J - who hosted the nominations show at Club Nokia in Los Angeles: "It feels amazing - I can't believe I'm in this position! I don't know what to say!" Among the performers at the nominations show were Katy Perry - who opened proceedings with 'California Gurls' - Justin Bieber, rapper B.o.B and indie group Train. 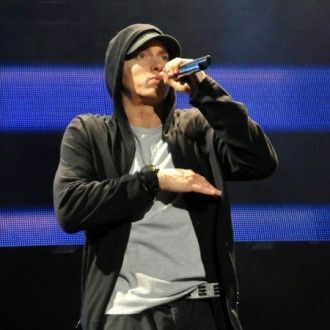 The hip hop superstar returns to perform 'My Name Is' and 'The Real Slim Shady', along with recent hits 'Monster' and 'Rap God' to his legions of fans. All you other Slim Shadys are just imitating.